CHICAGO (Jan. 9, 2012) – Round Table Companies, a publishing and storytelling company that works with thought leaders to inform, educate and inspire, announces the release of The United States Constitution: A Round Table Comic, a graphic novel adaptation of the supreme law of the United States. The Constitution comic launches in bookstores nationwide, on Amazon.com, and all digital formats in March 2012 for $12.95 (print) and $6.99 (digital). Scripted by adapter Nadja Baer and illustrated by Nathan Lueth, Round Table Companies created an original storyline to showcase the making of history and communicate concepts from one of the United States’ most important documents. Narratives and illustrations of Thomas Jefferson, John Adams, Thomas Paine and James Madison, among other historical figures, allow readers to understand and engage with the process and development of each article in The Constitution. 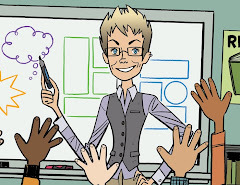 Dr. Katie Monnin, an assistant professor of literacy at the University of North Florida, and Maupin House, a publisher specializing in K-12 teacher resources, developed a tailored curriculum to supplement the comic book in classrooms. The curriculum will be readily available to teachers at no cost in March, when the book launches. Round Table Companies believes in the power of story to impact lives and brings others’ visions to life. For more information about the company, visit www.roundtablecompanies.com/. Round Table Companies (RTC) uses a filmmaker’s approach to storytelling to inform, educate, and inspire readers. Founded in 2006 as a writing company, RTC quickly evolved into a storytelling company that uses the talents of artists all over the country to deliver entertaining content that demands attention. RTC’s approach to creating high quality content eliminates the traditional publishing gatekeepers and allows thought leaders to engage in a fully collaborative team approach to distilling their ideas into either word based or illustrated formats. Author partnerships include WIRED magazine founder Chris Anderson, Zappos CEO Tony Hsieh, executive coach Marshall Goldsmith, childhood cancer survivor Alesia Shute, and Latino author and humanitarian Robert Renteria. 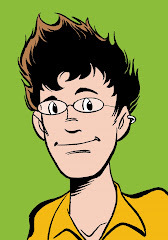 I'm a massive fan of hoistorical graphical novels. Some of my favourites are Maus, Safe Area Garazde and Alice in Sunderland. This sounds like it could be a decent one in that collection, if it is done right. 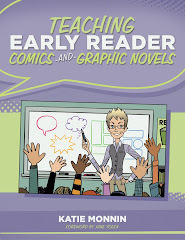 There's a lot of scope in using graphic novels to teach kids. There are loads of different types of learners out there - auditory, visual, kinesthetic. 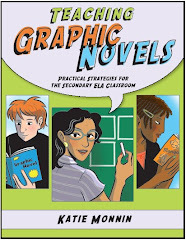 Any visual learners out there will benefit from reading educational graphic novels.